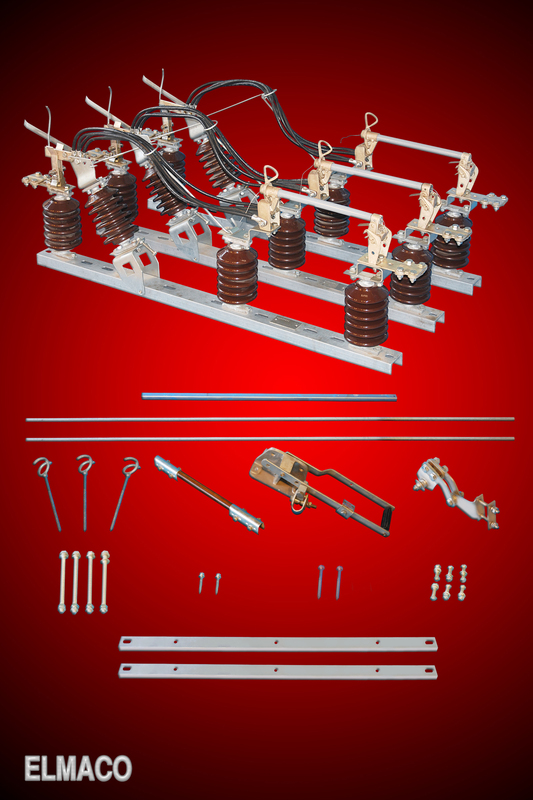 ELMACO produces 11 & 22 KV outdoor three phases disconnector switches ( isolating switches with ratings : 200, 400 and 630 Amp., it can be equipped with tripping fuses and / or arcing chamber. The D.S. is used to break the charging current and to isolate the required section of the circuit. It can be used to break the full current of the circuit if it is equipped with arcing chamber.